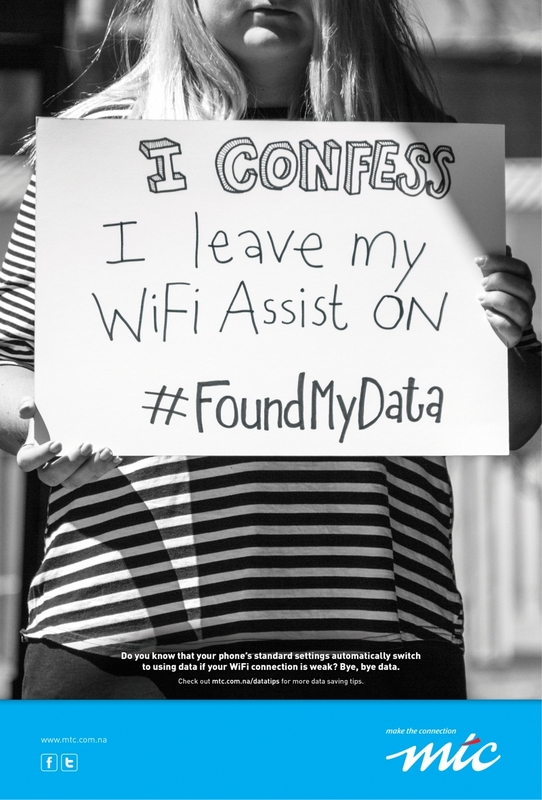 Namibian data consumers have become increasingly frustrated with high data costs on their smartphones. 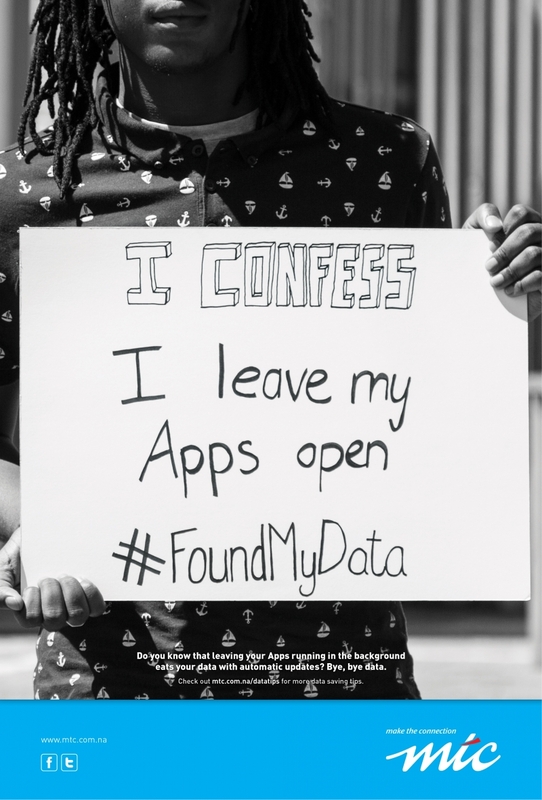 With various data-depleting actions going unnoticed amongst users, we decided to launch a Data Education Campaign, #FoundMyData, aimed at helping consumers cut down on data costs. Using a frustrated consumer’s picture of himself posing the challenge: “MTC. 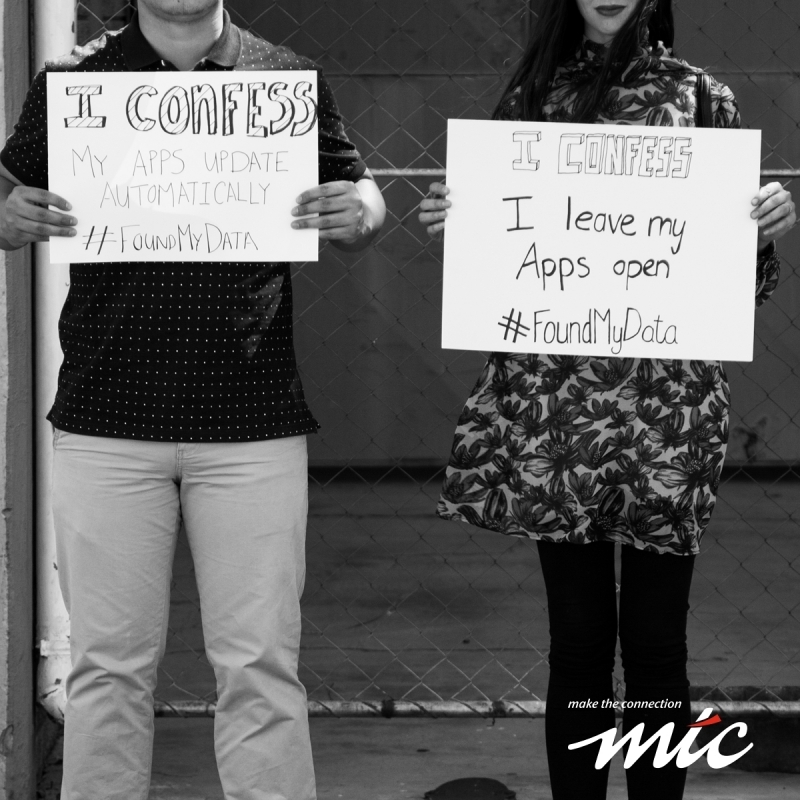 #BringBackMyData”; we decided to use the same method of communication to educate users in a recognizable, and easily understandable, way. We wrote our own white board captions; explaining where data disappears to and giving tips on how to save data; and created a series of instructional videos, TV ads, radio ads and print ads. A series of informative posts also quickly spread across the social media sphere. 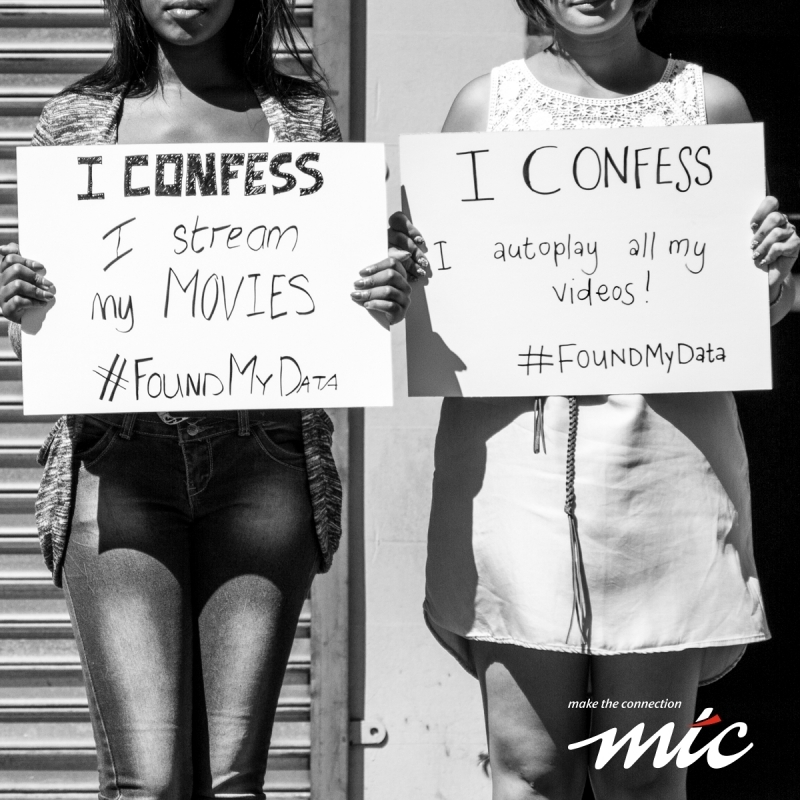 Each educational tip started out as a “data confession” and ended with our campaign line, #FoundMyData.